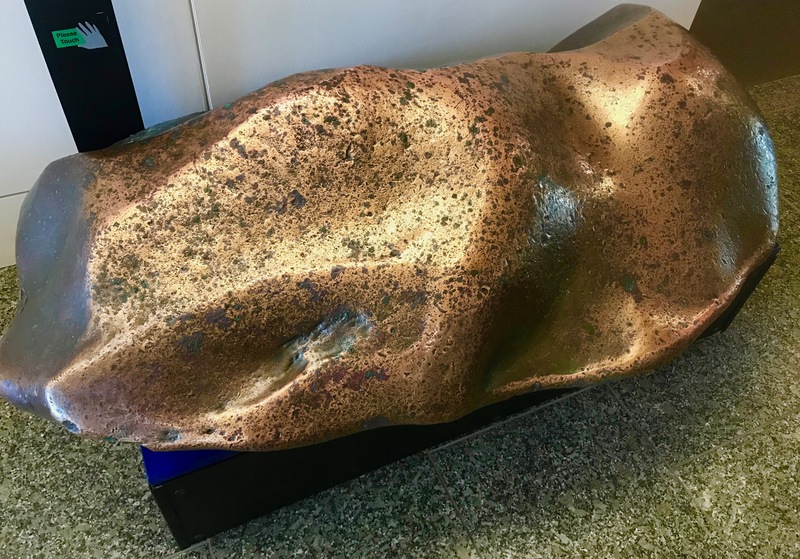 This 5495 pound copper nugget was uncovered near Dan Creek, in the Wrangell Mountains, during placer mining activities in 1936. Copper ore was originally discovered in a lode at the mouth of Dan Creek in July of 1899. The Nikolai Mine was founded the next year. The Bonanza ore body was discovered in August of 1900. Jade is the official gem stone of Alaska. 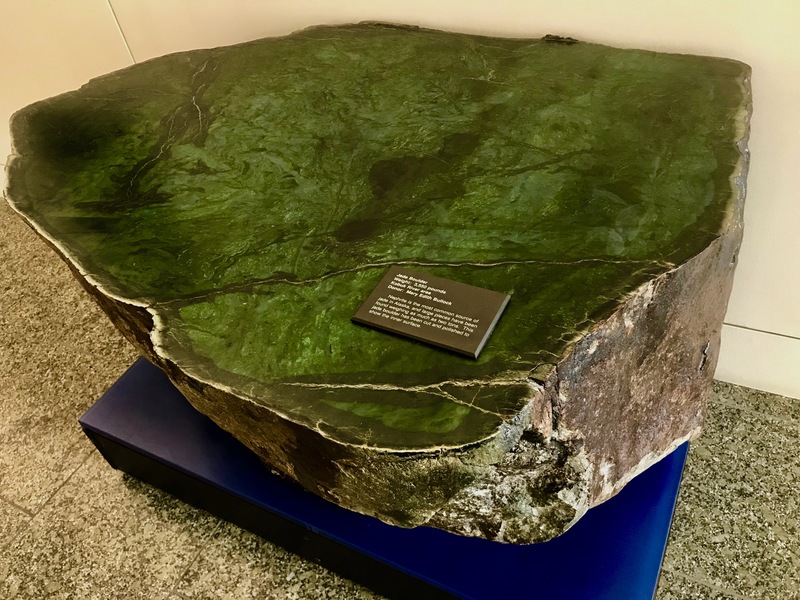 This 3550 pound jade boulder was found near the Kobuk River. Some jade boulders have been found within the state weighing upwards of two tons. Jade Mountain, on the Seward Peninsula, is an entire mountain of jade. At the 450 foot level on the West Wall of the Washington Monument, is a stone from the State of Alaska, honoring George Washington. Inserted into the wall on February 22, 1982, the two foot by three foot stone is made out of jade from Jade Mountain. This entry was posted on Wednesday, March 27th, 2019 at 6:06 AM	and tagged with copper, history, jade, jade mountain, kobuk river, seward peninsula, washington monument and posted in Alaska. You can follow any responses to this entry through the RSS 2.0 feed.